Here we are! the last day of the making of this cake. I kid you not, for somebody not so experienced like me, it took me quite a while to get this done. I stress too much when I have to frost a cake cause I’m not very good at it. But this SMBC was very forgiving. Anyway…onto the cake! I made Hershey’s Perfectly Chocolate Cake. I had read raved reviews about it, and is so simple I could not pass it up. I didn’t have Hershey’s cocoa powder, but I used natural cocoa and it worked. The batter is very very thin and the recipe said it would be enough for 2 9-inch cakes. I don’t know what is it with me, but the recipes yield me ALWAYS too little. Be it dough, or batter, is never enough even when the recipe says it would be. I had to double it! I had my doubts when I read 1 and 3/4 cups of flour. For 2 9-inch cakes? really? I should have doubled it right away and follow my instinct, but I decided to trust the recipe. Only to double it at the end. I guess the lesson is to follow your gut always. But despite that, this cake is AMAZING. Is the moistest chocolate cake I’ve come across, and I have to agree when they say is the cup of boiling water (I did half water, half coffee) I will do this again in a pinch, and turn them into cupcakes as well. 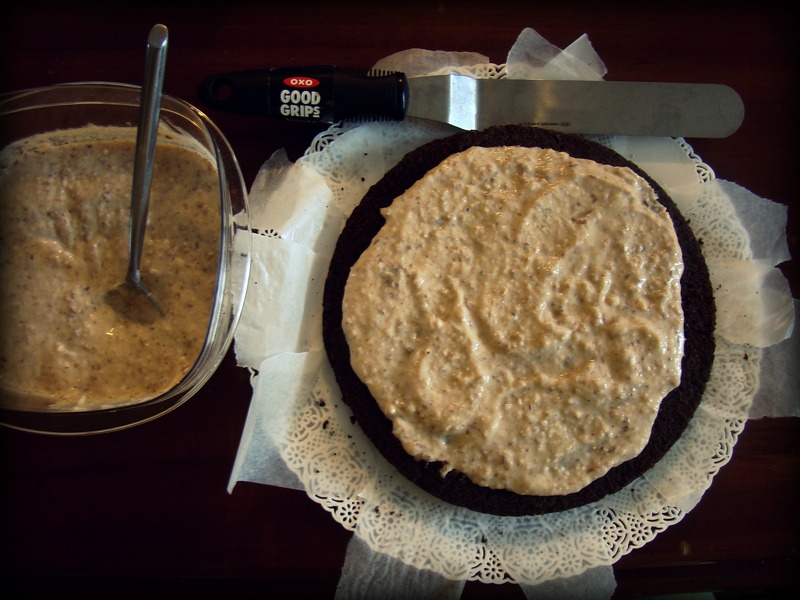 I did not, however, try the frosting recipe that came with the cake cause I needed a white frosting, but the cake is really great and I recommend it. I divided the 2 cakes in half to make a 4 layer cake, and filled it with the coconut cream I made earlier on. I have to say it again, this cream is the BOMB. Then I made a crumb coating for the cake and let it set a while in the fridge. After that it was just frost away (I still got come crumbs in) and make the chocolate decorations (those ones I didn’t make before hand) and stick them to the cake. I made the owl I told you about, and also some pine trees. 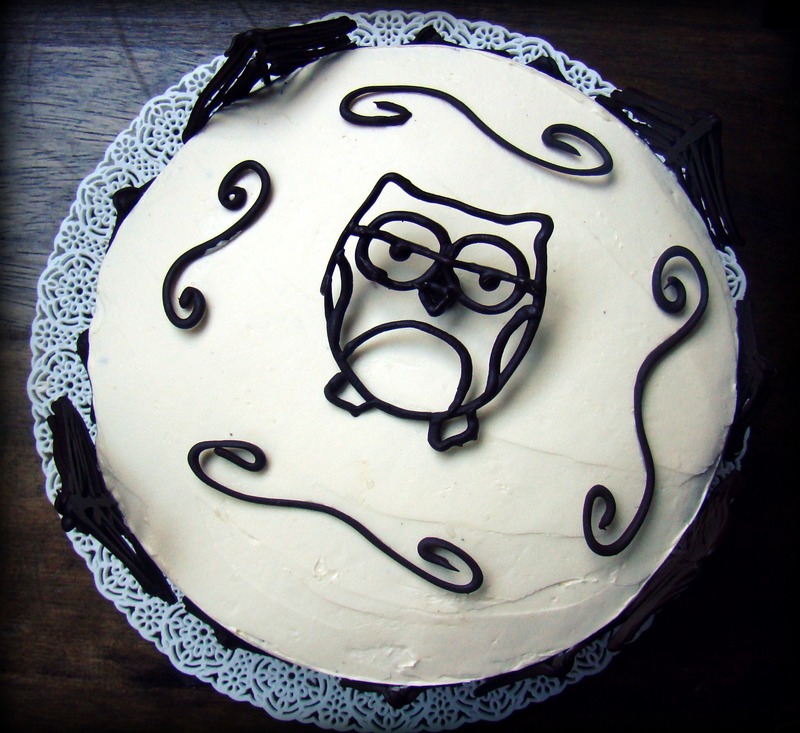 Of course I got the idea from the beautiful Dessert for Breakfast (even though her’s is a million times prettier) and some adornments around the owl. I think it looked very pretty and I was very pleased with the results. My friend LOVED her cake and so did everybody else. The cake was gone in seconds. I swear that literally, everybody in the party congratulated me on the cake! actually, I got not ont but two (!!) marriage proposals thanks to this cake. And one of the guys has a girlfriend. Is just how good this cake was, the combination with the moist cake, the sweet coconut cream and the smooth and not so sweet icing was perrrfect. 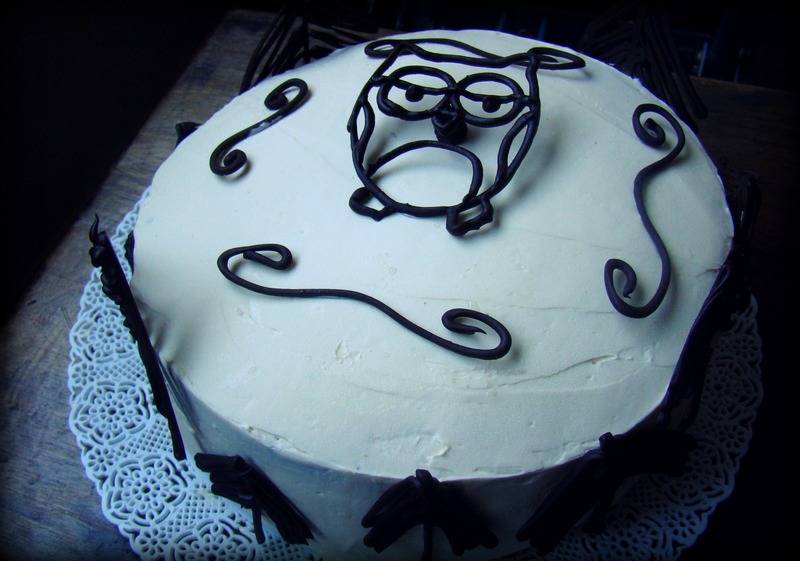 I will make this entire cake again, and I do not regret the little work it required, it was worth it. Each element was great on its own, but better together. 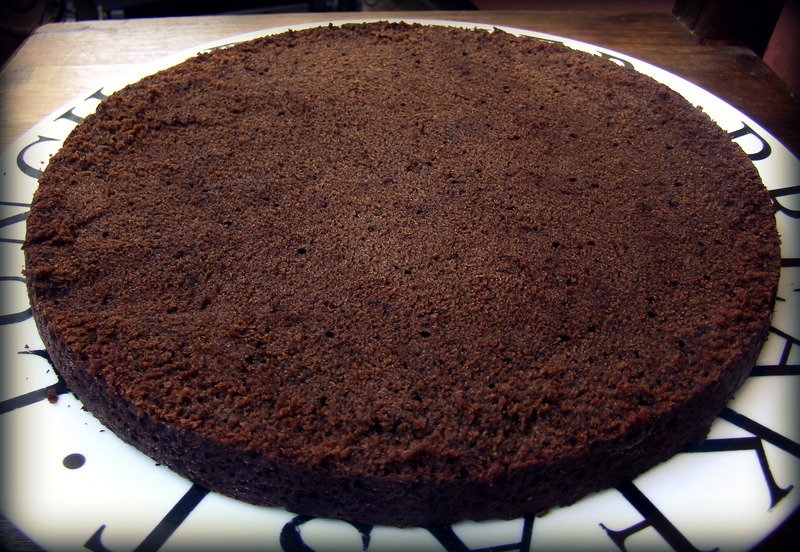 I followed the recipe exactly, except I double it to fill my 2 9-inch cake pans and I used another brand of natural cocoa powder. Notes: To make frosting the cake easier, pop them in the freezer for a while so they’re easier to handle. 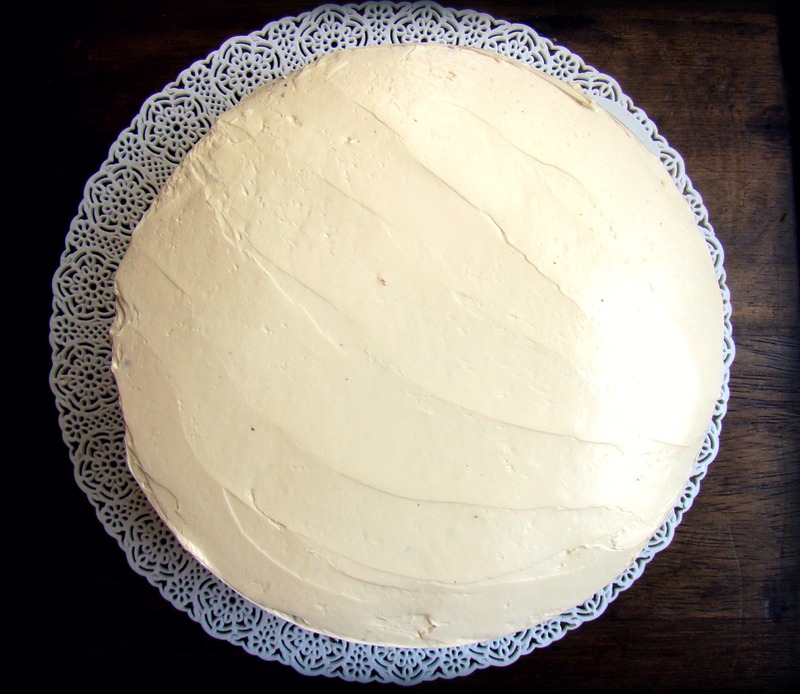 Make a crumb coat for the cake, specially if your frosting is white. To avoid ruining your cake plate with frosting, put the cake over several sticks of parchment paper before frosting, that way you can take them out when you’re done. 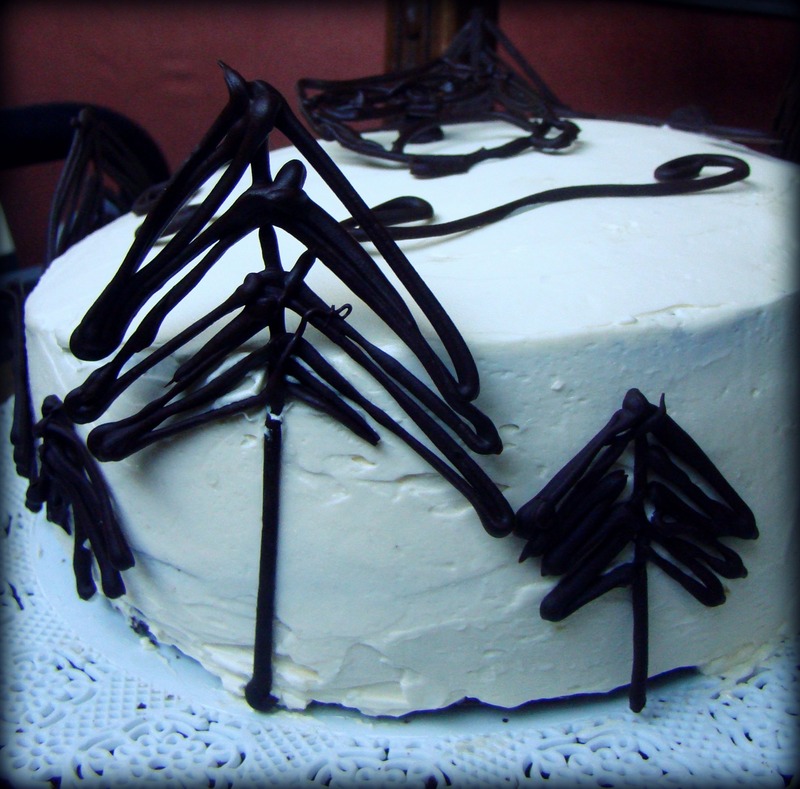 Make sure your frosting is not too cold when you’re putting the chocolate decorations, or else they won’t stick properly. I’m sorry I didn’t get any pictures of the inside, it was very dark and it disappeared too fast! But trust me here, if you know a coconut fan, this cake will melt their hearts. And yours too!